Here's an overview of the types of edema and their causes. We will continue to grow this as the knowledge and research becomes available. If we have missed something, please let us know so we can make corrections or additions. Click on the link to scroll down to the specific subject. Then you can click on the back to top to return to the list. As always, thank you for visiting Water Cures. There are numerous types of edema. The Water Cures Protocol has helped many to resolve several of the kinds of edema. Here is a overview and what we know. When considering the conditions that edema can result from the numbers of possibilities increases. When talking bout edema, it is helpful to know if it is acute edema or chronic edema and if it is pitting or non-pitting edema. Acute is a medical term that means sudden onset. So if you have recently noticed that you have edema, then you are most likely experiencing acute edema. Chronic is a medical term that refers to an ongoing condition or something that has been around for 6 months or more and maybe even years. Pitting edema means that you will be able to push in on the sink with your fingers and on releasing, there will be a noticeable indentation that will continue for a time. When pushing in on your skin, the skin is puffy like a pillow and the skin returns to the puffiness it had prior to pushing in. Peripheral Edema is one of the types of edema that occurs mostly in the legs, ankles or feet. It can be pitting or non-pitting. Pitting edema, the most common, is considered by doctors to be caused by diseases that affect any of various systems of the body or by localized conditions or injuries that only affect the periphery, lower extremity or what we know as the lower legs. Most often, lower extremity edema is the effect of diseases affecting the heart, kidneys or liver. The thinking is that edema results from the retention of too much salt (sodium chloride). Excess salt causes retention of water. The excess water becomes the edema. When there are age spots (also called liver spots), there is a good possibility that the liver is the source of the problem. This does not rule out the kidneys or heart, it just indicates the possibility. Only your doctor can diagnose the actual cause. There are a very limited number of people who have any of 16 genotypes that affect salt use. Of these, 8 poorly get rid of salt. They are at risk of excess salt and increased edema. The other 8 give up the salt too easily. 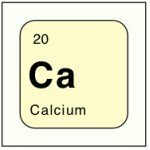 They are at risk of low blood pressure and need more salt. Both groups are rare. 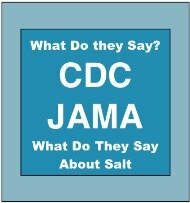 If we are otherwise healthy, according to the CDC and JAMA, we need more salt to be healthy. 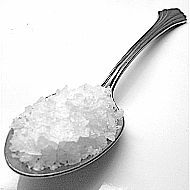 We only recommend unprocessed salt as it has vital minerals we need for health and life. You can get either mined salt or sea salt that is unprocessed. Question: If people have too much salt, why not have them drink more water instead of taking less salt? Note: We have seen major health improvements by increasing the right kind of salt and increasing water drinking with filtered water. When the body is sensing an impending drought, it stores excess fluids. Think of it as our bodies being able to predict our actions. It knows we will not be hydrating adequately. The result is the excess fluid being stored for emergency. This is the peripheral edema cause. This provides clues to the solution, drink more water. How would you prove this hypothesis? Simply give the body all the water it needs and the excess fluids will be eliminated. We have done exactly this countless times with the Water Cures Edema Treatment. Note: there are other factors. Sugar intake can cause water retention. Sugar causes inflammation. Water helps lessen the damage, so our bodies retain more water at times of high sugar intake. One of the more unusual types of edema idiopathic edema. This is when there is no known cause (spoiler alert: We have found that in addition to sugars, MSG causes edema in some people). We believe it is likewise a sign and symptom of fluid and electrolyte imbalance. 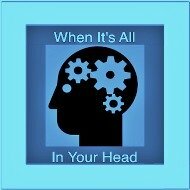 When there is an accumulation of fluid on the brain, it is called cerebral edema. Cerebral edema is something that only be diagnosed by a health care professional. It is an emergency. When there is any head trauma, we need to be careful to not take in too much sugar. Did you ever get a headache from drinking too much soda? When there is a head injury, which could result in cerebral edema, it's time to go to the hospital. When fluids collect in the lung cavity or pleural cavity, it is called pleural effusion. This is not exactly the same as the edema we get in our legs. But it needs to be cared for if it is causing you discomfort. Causes: Inflammation, CHF or congestive heart failure (your heart is failing to work as good as it should), Pneumonia Cancer, liver diseases, end stage kidney disease, nephrotic syndrome, Lupus, and pulmonary embolism. When the fluids start to build up in the interstitial air spaces of the lungs (aveoli), it is called pulmonary edema. There will usually be a crackling sound from the lungs. If your hair is long enough, putting a clump of it next to your ear and rub it back and forth between your fingers. The sound you hear is how the crackling will sound like with a stethoscope. If you have the ability to take a bath, if you can put your ears under water, you will be able to hear your breath sounds. This can happen when there is an obstruction of the blood vessels within the lungs. It is a medical emergency. You will know because the symptoms will be alarming. Cardiac edema is edema that results from congestive heart failure. Congestive heart failure and edema is one of the most common types of edemas people experience. In addition to irregular heart beat, shortness of breath and generalized weakness, there will be notable weight gain. The additional weight is from water accumulation, usually in the lower extremities, including the feet, ankles, legs and abdomen. The most often cause is right side heart failure. When left side failure is present, the lungs are most often affected. See pulmonary edema above. A considerable number of people have discovered what Dr. B taught to be true. The Water Cures Protocol can help eliminate several types of edema and put people on the road to a healthy heart. Please note, this may be a life threatening condition. See your doctor right away. The common thinking is the solution lies in prevention of the conditions that cause it. At water cures, we have heard from numerous people who have reversed their heart disease as well as eliminated numerous types of edema using the Water Cures Protocol. Correcting high blood pressure and lowering cholesterol are some of the basics that the water cures accomplishes. Edema of the eye ball can be caused by glaucoma, conjunctivitis or keratitis. It can be quite scary when first observed. We are used to our eyes being smooth. They are anything but when this is present. When the lymphatic system does not effectively remove interstitial fluid, it is called lymph edema. When we have weeping legs, the edema has built up to a point that the lymph is escaping through the skin. There is a simple solution. Movement and the Water Cures Edema Protocol. The lymph system only works when the muscles move. So if possible, exercise or range of motion is essential. Also using the water cures protocol will in most cases make the lymph edema go away. Myxedema occurs when there is severe severe hypothyroidism. One of the tell tale signs is edema behind the eyes. It can happen with Graves disease and Hashimoto's thyroiditis. Edema is one of the symptoms that results from hypothyroidism. Hashimoto's edema is caused from hypothyroidism (hypo = low) Hashimoto's thyroiditis symptoms include facial edema, especially around the eyes. There may be fat deposits behind the eyes. Edema can also be present in the hands, ankles and feet. The myxedema results from an accumulation of a substance that normally occurs in our skin but now has accumulated. This substance likes and attracts water and becomes jelly like. This is the connection with edema and hypothyroidism. 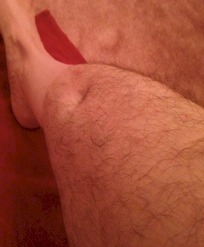 This is edema in front of the knee cap. Pre means in front of and patellar means knee. When fluids collect and build up in the abdomen, it is called ascites. fluids collect throughout all the body tissues and cavities, it is called anasarca. Chronic severe anemia can cause another of the types of edema. There are several factors that can be a part of the problem. The British Heart Journal considered the problem. They found that although the mechanism is unclear, there was retention of salt and water. Their conclusion was that patients with severe anemia also had decreased kidney filtration rates and neurohormonal activation similar to edema caused by heart disease. They do however have high cardiac output and low resistance. They theorize that the low hemoglobin causes a generalized vasodilatation. The resulting low blood pressure may be the cause of the salt and fluid retention. They further added, the low blood pressure might stimulate neurohormonal release leading to salt and water retention. Edema Cause - Water Cures View: We believe that our bodies do what ever they do for good reasons. The retention of salt and of water are usually a reaction to potential and or impending drought states. 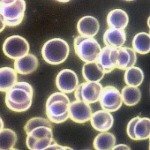 In one study in the University of Idaho, using a smaller molecular sized, immuno activated water, both the White and Red blood cells increased in a porcine test. We believe that it will be possible to correct the fluid and electrolyte status and the anemia will resolve. This is something we hope to research in the future. Although edema with fibromyalgia is not listed as a common sign, edema may still be secondary to the fibromyalgia. 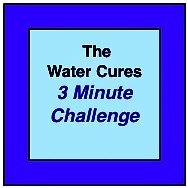 We have heard from numerous people who have been successful in ending their fibromyalgia using the water cures protocol. Since properly hydrating the body helps with fibro, it is most likely that it will help with fibromyalgia edema. As Dr. B taught us, edema is a drought response of the body to store water. When we restore the hydration balance, the edema has also disappeared in numerous water cures users. 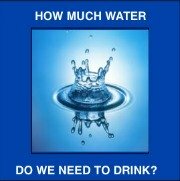 We have received testimonials from numerous people with kidney disease who have or are using the water cures protocol. They are having success. 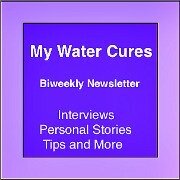 We do not have sufficient information to recommend for or against using water cures when kidney disease is present. We recommend you seek out a competent ND nephrologist. What We Know: there are 16 kidney related genotypes that have abnormal reactions to salt. Eight will tend to spare the salt (which could result in fluid retention and poor fluid elimination and high blood pressure.) The other 8 have low salt retention and typically have low blood pressure. Nephrotic Syndrome Edema: some kidney edema may be caused by nephrotic syndrome. Heart Failure of some kinds can cause nephrotic syndrome forms of renal edema. A kidney condition called nephrotic syndrome can result in severe leg edema. Sometimes it can produce one of the types of edema that affects the whole-body called anasarca. Radiation poisoning causes another of the types of edema that water cures can especially help. Whether it be from the sun or exposure to radiation release, it causes a burning of the cells of your body. The burning results in the release of free radicals. These cause further and continuing damage if treatment is not started. There are natural treatments that will help eliminate radiation free radicals from the body. Most notably about this of all the types of edema, the water curse helps to eliminate the free radicals from the body. Water Cures Protocol to keep the edema gone.